LaStella Winery, located in the South Okanagan, tries to bring Italian style to the wines they produce. They do this in part through the use of Italian grapes, such as Sangiovese, and through using the production methods undertaken in Italy. Besides their love of Italy, and bringing it here to BC, they also look to the environment trying to produce the healhiest vines and most flavourful grapes possible in their vineyards, through organic and sustainable farming methods. Every wine has a story, so let’s read on about the story of these two wines, LaStella Fortissimo and Maestoso, which were provided to me to try by the winery. Before tasting these wines I decanted both then poured the wines back in the bottle. I tasted the wines right after decanting, and then again a few hours later. I noted some sediment from the Fortissimo, but none from the Maestoso. 2011 was a long and cool growing season without the extreme daytime heat common in the South Okanagan. The long growing season allowed the grapes to reach their full ripeness and to retain their acidity, which should produce flavourful, balanced wines. 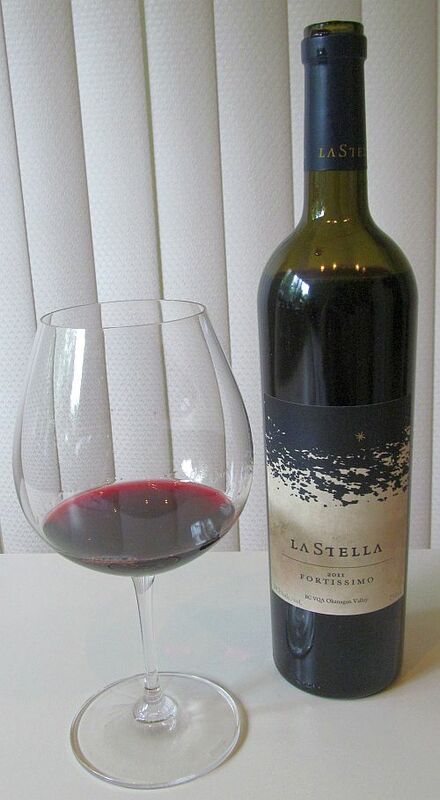 The LaStella Fortissimo (C$35) is a tip of the hat to the pioneers of Tuscany who challenged the traditions of winemaking in the 1950s and 1960s to gain recognition for their wines, using non-traditional Italian grapes (e.g. Merlot and Cabernet Sauvignon). These Italian wines are known as “Super Tuscans“. The 2011 Fortissimo is a Super Tuscan blend of 71% Merlot, 22% Cabernet Sauvignon, 6% Cabernet Franc, and 5% Sangiovese (an Italian grape). The larger percentage of Merlot creates a softer wine, more round and fruit forward than a Cabernet Sauvignon dominant blend. The winemakers used shorter ferments for less skin contact in this wine and fewer cap punch downs or pump overs during ferment. In addition pre and post ferment soaks were employed to extract colour without too much tannin. The result should be a softer wine, with less tannins, yet full of fruit and higher acidity. The Fortissimo was a deep ruby colour in my glass, with a solid colour from the core to the rim. It had a pronounced yourthful nose balancing vanilla and fruit. It smelled quite rich in the glass, with aromas of ripe plums, black fruit, black cherry, and candied red cherries, together with the oak and vanilla. With more air, I noted some capsicum and a cross between roses and cedar on the nose. On the palate it was dry, with balanced acidity, tannins and alcohol. It has a lighter mouthfeel with lighter intensity fruit flavours that do not overpower your palate. Ripe plums, red and black cherries and red and black fruit were all present, with the red fruit being a bit more prominent. There was also a candied red cherry edge that floated on top of the other flavours. The tannins are quite fine and are felt more toward the finish together with some oakiness. This is an outstanding, very elegant, structured wine. You can drink it now, or I would age it for up to 5 years. Maestoso (C$100) is the flagship wine and the jewel in the crown of the LaStella winery. It is produced as rich wine, full bodied and wanting to be enjoyed, but still have some structure and restraint. This wine is aged for 18 months in both French and Slavonian Oak barrels and puncheons (500L and 1000L). 21% new oak, 43% second fill, and the balance in neutral oak. The grapes come from their Lumeno Vineyard and a pinch from La Feuille D’Or vineyard. It is 100% Merlot, which allows the wine to be rounder and more fruit forward, but still quite powerful. I have noted in the past that the Merlots in the BC Okanagan, and in Washington State, seem to be bigger than Cabernet Sauvignon. Everything about this wine shows it’s qualtiy. 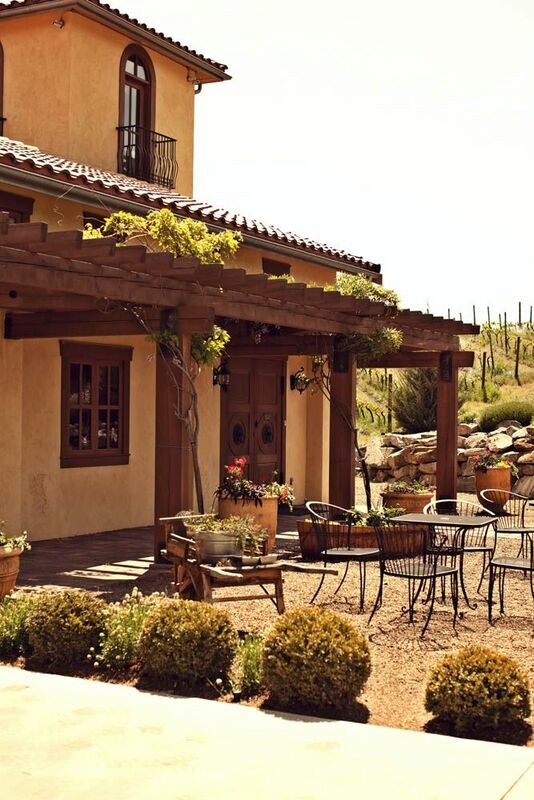 The vineyards for this wine comes from clay based soils and an exposed southern slope with a steep gradient. Merlot grows very well in clay soils. The southern slope gives good sun access and the slope helps keep the clays well-drained. LaStella also undertook high density plantings so the vines would struggle to produce grapes resulting in low yields but of very high quality. The Maestoso was deep garnet in colour. Light intensity vanilla and milk chocolate aromas, together with dried fruit, black fruit, raspberries and red cherries. Upon later tasting I also picked up on some sweet spices. The wine is dry, but very silky with a medium mouth feel. The acidity, tannins, and alcohol levels were all nicely balanced. The tannins and acidity are there, but you are mesmerized by the silky texture of the wine and its flavours of red and black fruits, blueberries, plums, black cherry and a hint of raspberries. Vanilla is also there to complement the fruit. The tannins are super supple and you are left with a soft finish in your mouth. This is another outstanding wine from LaStella. I again would suggest that you buy a few bottles and let them age for up to 5 years or more. It was very interesting to try these two wines at the same time. The Fortissimo felt full bodied, until you tasted the Maestoso, which brought up the body and weight in your mouth up a notch. 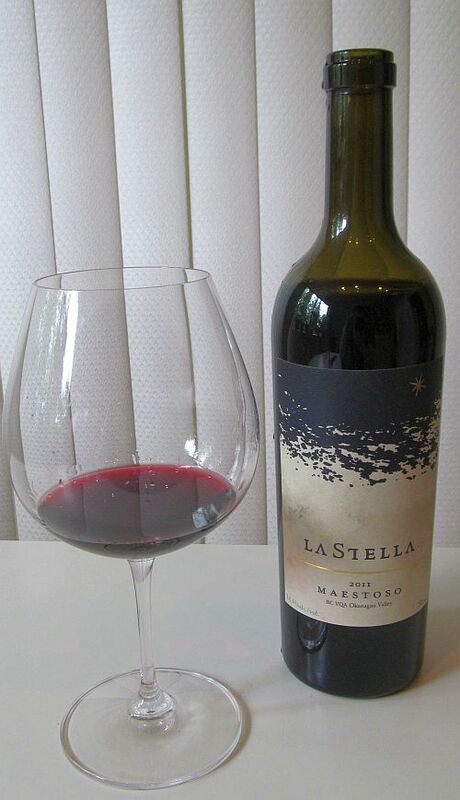 I have enjoyed tasting La Stella‘s wines in the past, as well as their sister winery, Le Vieux Pin. Here are links to some of my past reviews. Enjoy!